Web Service technologies offer a successful way for interoperability among web applications. 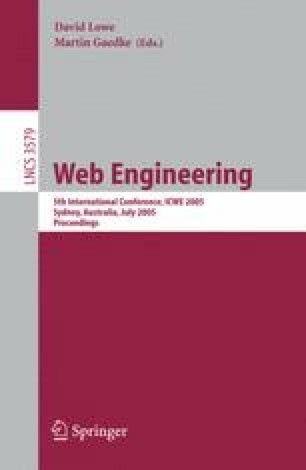 However, current approaches do not propose an acceptable method to decouple non-functional properties from Web Service implementations, leaving as a result a large amount of code scattered and tangled all over the application, thus raising problems at design, implementation, maintenance and evolution. It is the aim of this paper to describe how aspect-oriented techniques allow these properties to be easily modularized and reused. We will also analyse how information about properties can be added in the WSDL file, in order to keep clients informed of the characteristics of the service they are going to use. Finally, we will demonstrate how the client will be able to choose which optional properties have to be applied in his invocation in a transparent way, automatically generating the necessary changes in his code in a modularized and decoupled way.